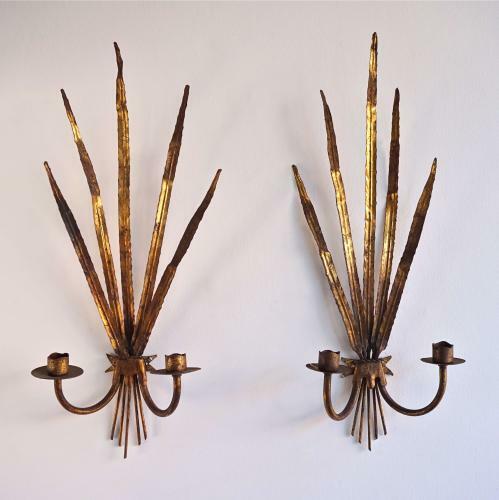 A fine pair of gilt tolle metal wall sconces with wonderful patina. Beautiful with candles, or can be easily wired with electric candle lamps. French circa 1930.